As Spanish teachers, we all know that one of the trickiest topics to teach is how to choose between the preterite and imperfect tenses. 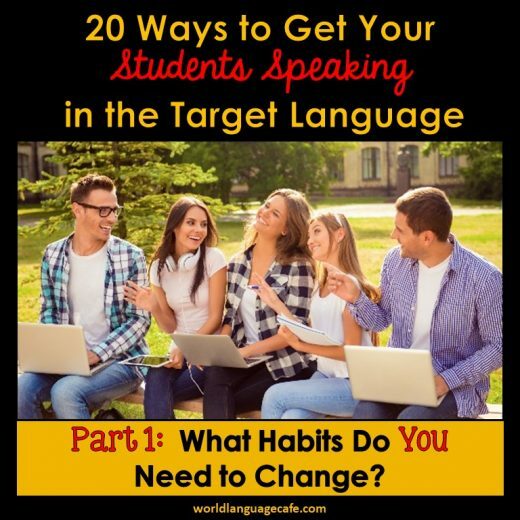 For years, I watched students struggle with this concept and to be honest, when I was a newer Spanish teacher, I had a hard time figuring out which tense to choose, too. 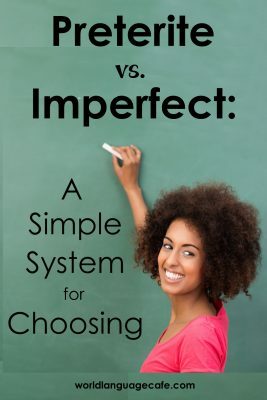 Since none of the techniques that I learned in school seemed to be working well for my students, I created my own simple 5 question system for choosing between preterite and imperfect. I tested it out in my classes and students loved it! They said that they finally understood the differences and why hadn’t someone taught them this before. Now does this system work 100% of the time? No. However, it does work about 95% of time. Wouldn’t you be super-happy if your students could choose preterite vs. imperfect correctly 95% of the time? In this post, I’ll explain how the system works and will give you a free handout with the questions at the end, so no need to furiously jot down notes. It’s in my Free Resource Library. Sign up here to get access via email. 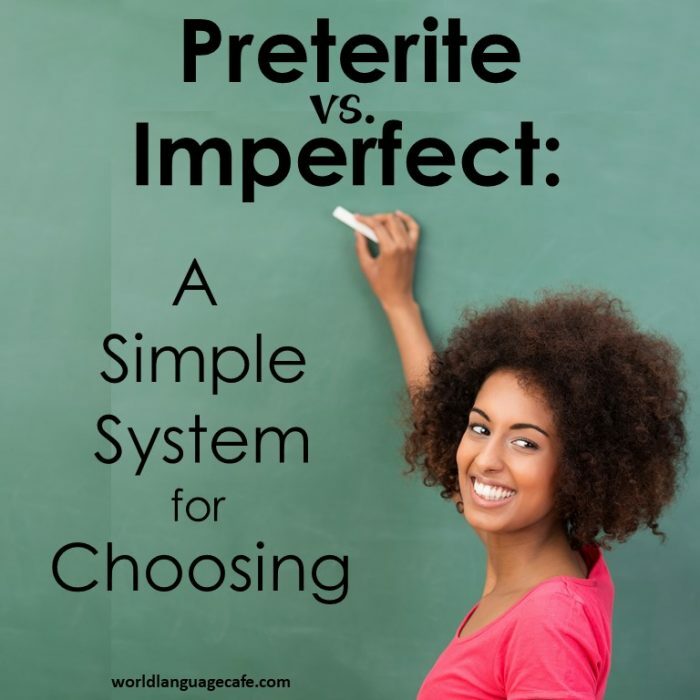 Tell students that you will be teaching them an easy 5 question system for how to tell the difference between preterite vs. imperfect. Go through each of the 5 scenarios, using the examples. For each question, have students come up with additional sample sentences on their own to add to the list. Under each question, I’ll list some key points to emphasize when explaining these to your students. 1. ¿Es una acción precisa o terminada? Fui a la escuela con mis amigos. Talk about “one and done” actions. You do the action and it’s over. Draw a timeline and make a mark for each precise action. ex. I got up and brushed my teeth. My family and I ate breakfast. My sister and I went to school. 2. ¿Es un número específico de veces o una cantidad de tiempo? Fui al banco tres veces ayer. Estudiamos por dos días para el examen. Visité a mi abuela en el hospital dos veces esta semana. Draw a timeline and make 3 marks for I went to the bank 3 times. Show the start and end points on your timeline with a line between to represent studying for 2 hours. Hacía mi tarea cuando sonó el teléfono. El perro corría rápido cuando de repente se cayó. Preparaba la cena cuando me corté con el cuchilo. On your timeline, draw a wave-like line to demonstrate an ongoing action and then draw a hard mark to show the interruption. Make a list of sentences with interruptions and have students act them out. 4. ¿Hay énfasis en el principio o el final de la acción? Pablo terminó su trabajo a las tres. La clase comenzó a las seis en punto y unos estudiantes llegaron tarde. Talk about how the act of starting or finishing something occurs quickly. I started (and then you’re doing it, but the starting part is over. 5. ¿Es un estado emocional o mental que es el resultado directo de una acción precisa o terminada? Al ver el monstruo, tuve mucho miedo. (I got scared when I saw the monster). Me puse triste cuando vi la mala nota en mi examen. (Upon seeing the grade, I felt really sad). Talk about how these mental or emotional states happen because of another specific action. They usually last for a very brief period of time. 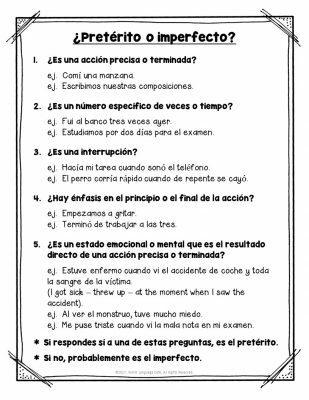 * If students respond yes to any of these questions, then use the preterite. * If no, then use the imperfect. See – pretty easy, right?? 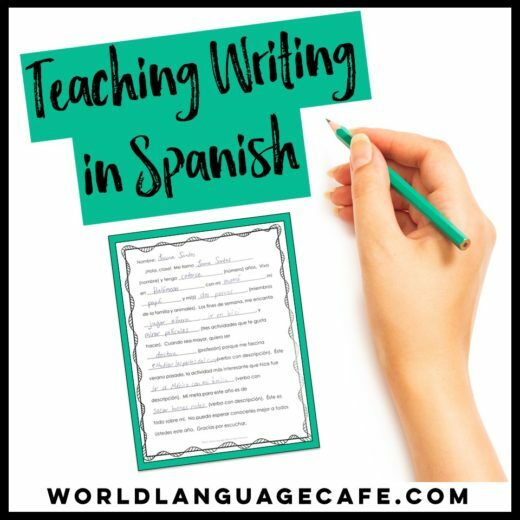 Your students will need lots of fill in the blank preterite vs. imperfect practice activities so they can choose quickly and efficiently, but after trying this for a while, you’ll be amazed at their level of mastery! Hope you found this system helpful! Be sure to get your free printable student version (plus tons of other good stuff) in my Free Resource Library. Sign up below to get the access link and password. 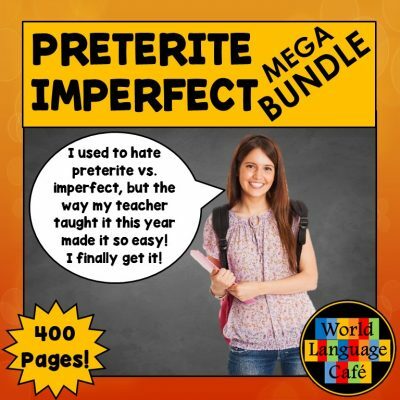 If you’re looking for more resources, I created a 400 page preterite and imperfect unit that will walk you through these teaching tenses step by step. It has everything you need and more to not only teach these tricky tenses from start to finish, but to engage your students with active, hands-on learning activities. Will save you hours and hours of time! Bet you could use some extra time right about now. Hi, I signed up to subscribe but I didn’t receive an email from you. I am getting ready to teach again the Pret vs Imp. and would love some extra help. Oh no – so sorry. Not sure what’s going wrong. Where did you sign up on my blog? (The top, the side, or the bottom). Trying to figure out this issue. 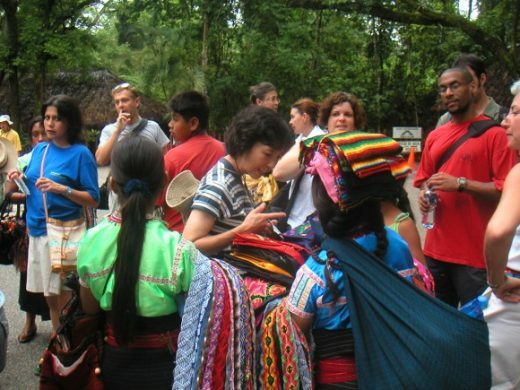 Send your email to me at: worldlanguagecafe@gmail.com and I’ll add you manually. I wrote my email as well but did not receive a response. Gracias por revisar esto.